Vorbild für ein nachhaltiges Geldsystem jenseits eines Wachstumszwangs? Mit dem Ziel, eine zinslose Wirtschaft zu ermöglichen, bietet die JAK-Bank in Schweden seit 1965 Bankdienstleistungen auf der Grundlage eines zinslosen Spar- und Darlehenssystems an. Die über 38.000 Mitglieder der Genossenschaftsbank sparen auf zinslosen Sparkonten und können sich Geld aus dem Gemeinschaftstopf deshalb zu Verwaltungskosten leihen. Das Prinzip ist einfach: Wer als Sparer auf Zinsnahme verzichtet, der spart sich als Kreditnehmer ebenfalls die Zinsen. Nach diesem Prinzip sind Sparen und Leihen im JAK-System gemeinschaftlich verbunden, was die JAK-Bank zudem über einen aktiven Dialog unter den Mitgliedern fördert. 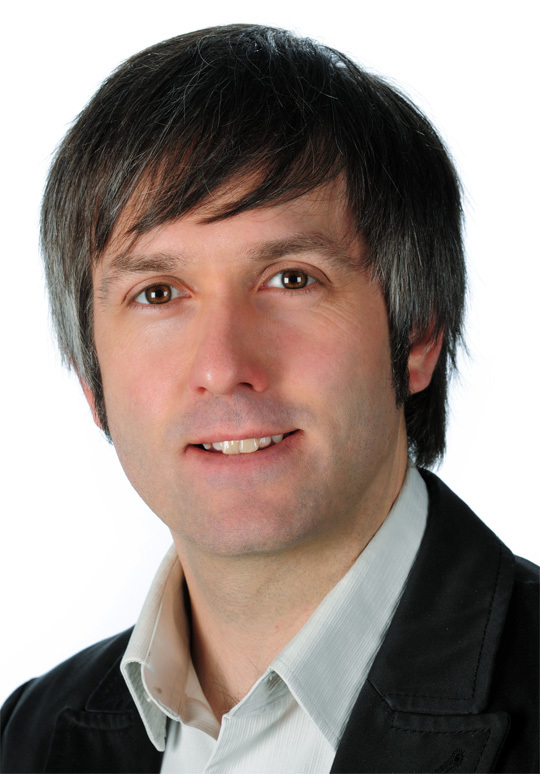 Der exponentielle Mechanismus des Zinseszinseffekts, der von vielen Geldkritikern als eine der maßgeblichen systemischen Ursachen von Umverteilung und Wachstumszwängen gesehen wird, wird von der JAK Bank auf einzigartige Weise umgangen. Ihr Geheimrezept: An die Stelle der Zinsen tritt das Prinzip ergänzender „Savings-Points“, ein von der JAK Bank ausgeklügeltes und inzwischen mehrfach weiterentwickeltes Verfahren der Liquiditäts- und Fristenplanung. Das Spar- und Leihmodell der JAK-Mitgliedsbank: Ansparen, Leihen, Amortisieren, Nachsparen – alles ohne Zinsen. In den 1930er Jahren, inmitten der „Großen Depression“ wurden in Dänemark die ersten konkreten Schritte in Richtung des JAK Bank Modells unternommen, 1970 hat sich die JAK Bank schließlich auch in Schweden erfolgreich etabliert und besteht dort bis heute. Inzwischen gibt es Nachahmer in Finnland, Italien und Spanien. Auch in Deutschland, wo sich die Wurzeln dieser Idee bis auf das in der Weimarer Republik entwickelte Modell der „Ausgleichskassen“ zurück verfolgen lassen, gibt es mit der OZB Stuttgart und der neu gegründeten ZLS Freiburg immerhin zwei Initiativen. Dennoch ist das JAK Bank Modell hierzulande kaum bekannt. Da das Zinsnehmen (und Zinsgeben) im Islam verboten ist, wird das JAK-Modell in Schweden offenbar gern von gläubigen Muslimen genutzt, die im zinslosen JAK-Banking eine glaubenskompatible Möglichkeit sehen, sich am modernen Geldwesen zu beteiligen. On the request of the journalist Andrea Paracchini, Ludwig Schuster answers frequently asked questions rergarding the JAK Bank model. Andrea Paracchini is a journalist at the French press agency Reporters d’Espoirs, based in Paris. AP: which are the factors explaining that there are so few banks like JAK in Europe? LS: I believe that there are different reasons why JAK Bank has not been copied broadly all over germany. On the other hand, the majority of people has not yet come to the point where they consider the accelerating spiral of interest bearing loan as a problem to deal with responsibly. So it is a matter of consciousness as well as education and enlightenment. However, consciousness seems to rise exponentially since the financial crisis occurred: the most popular bank for green investment in germany, the anthroposophic GLS bank, is currently growing about 25% in capital each year. GLS is the fastest growing bank in germany at the moment. AP: Are there ways to avoid interest others than JAK system? Could you give me some example? LS: First of all, as far as I am informed, JAK does not completely avoid interest, but it does avoid compound interest, that is, interest on interest. So, there is no positive interest for savings, and a very low interest rate for credit, which consists of an insurance part for the (pooled) risk of credit default and a service fee for the bank. Another approach to avoid the negative effects of compound interest can be seen in the concept of „demurrage“ based currencies. With demurrage, the fee for holding liquidity is not being paid by the debtor, but by the holder of the money – until the money is spent to someone else, who is then obliged to pay the „demurrage“ or liquidity fee. However, the demurrage concept can only be seen as an alternative to compound interest if it is ensured at the same time that the liquidity fee is not seen as revenue for capital owners but as a common good. By the way, the same effect would be achieved by a 100% tax on interest earnings, like porposed by Ernst Abbé, a german captain of industry in the early 19th century. And, last but not least, interest can be easily left apart in pure accounting systems: If you consider digital loyalty schemes, for example, or barter systems, there is no interest function whatsoever but only service fees – and they work properly as well, without the disastrous side effects of interest schemes. However, in order to organize the whole monetary system as an accounting scheme without interest, a demurrage concept would be useful to distiguish between „everyday money“ with high liquidity (cash accounts) and money which is „deposited“, parked for later (savings account). This would also have a psychological effect, with unforeseeable consequences: Whereas today money is bearing inflation to keep it in circulation, in such an accounting scheme your money on a savings account would no longer need to grow through positive interest rates in order to (at least) compensate inflation, but it would simply keep its nominal value forever – and it could thus remain free of inflation. Prices would remain stable all the same – a breadroll today would cost the same as in twenty, fifty or a hundred years. As you can easily imagine, this tiny little shift in monetary policy would result in a radical structural change of our monetary system which would need to be commonly understood – and this unfortunately renders it quite improbable that this change will happen soon. AP: In JAK bank, you have to save or after-save in order to loan. Someone said to me that “ this means that JAK give money to people who already have a lot of money“. Do you think that interest-free banks are banks for rich people? 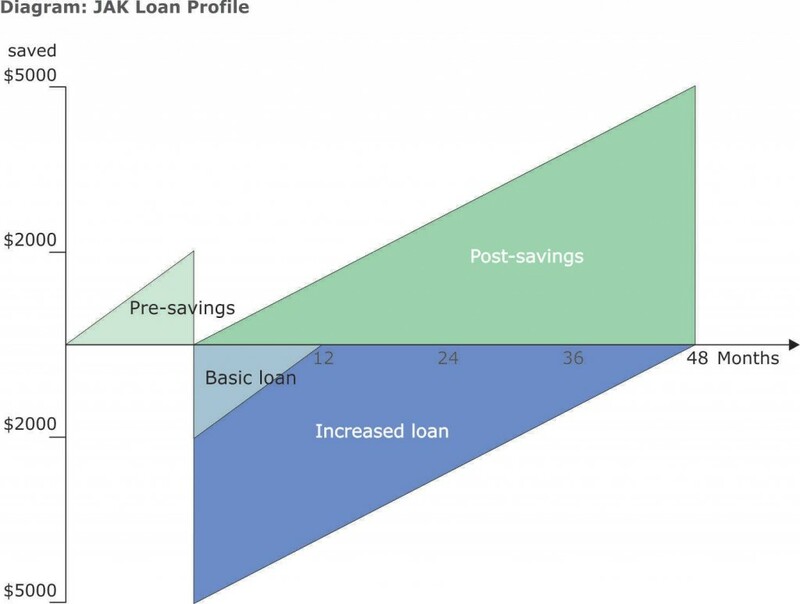 LS: The problem with the JAK bank principle is that, apart from the credit created and saved after being used once or twice, the major part of the money that needs to be saved by JAK bank members must have already been brought into circulation as interest bearing loan by somebody else in the first place. JAK bank’s effect is thus limited to one step in the overall network of financial activities. AP: How could interest-free loans be more accessible for people who need it more? JAK permit to local authorities or association to offer saving points to people who don’t have enough money to pre-save. Do you think is a good solution? LS: Yes, to have local authorities as a partner and create a savings pool would both be good approaches to make interest free loans more accessible to poorer people – and more popular as well. Another add-on could be „mutual trust“ rating schemes which are currently arising in many social networks in the world wide web, like facebook or xing. People’s reliability would then no longer need to be judged upon by banks or rating agencies but by their personal social network – just like between grameen bank members. With a network of trust, the risk of credit default could be lowered, or even shared within the network, which would allow easier access to loans or credit for people who can’t show capital assets or who simply haven’t been able to save money in advance. AP: Do you think that people need real „interest free-bank“ or it’s enough to develop informal microcredit groups inspired by traditional „tontine“ north African model (in France we have many example of these groups)? LS: The JAK principle – just like all mutual credit schemes – allows to give credit to people who are able to save some money – before or afterwards -, but it is in a way inferior to the microcredit principle, as JAK renounces to create money on a fractional reserve basis. Grameen does create money this way, but only as compound interest bearing loan with huge interest rates in order to compensate the higher risk of credit default and higher administrative costs. In my view it would have a great impact if the two of them committed to combine their positive aspects and hand out „real credit“ (=create money) without the heavy and unsustainable load of compound interest. First steps are already taken by the brasilian „Banco Palmas“ in Palmeira, and maybe soon by the „webank“ as well, which is being founded in Kapstadt in these days and will come up with a mobile payment scheme right from the start. But the most important paradigm shift is to think of money in plurality and money as a tool to be designed for certain purposes, as every money scheme has its advantages and disadvantages and while it may serve well for a certain purpose (level of education) it might be useless or even counter-productive for another (exploitation of finite resources). who creates what kind of money? For whose profit and for what purpose? How is the money created and how is it drawn back out?